FAAC Group. has completed the acquisition of the assets of VIKING Access Systems, the California-based and well known US manufacturer engaged since its foundation in year 2003 in design and manufacturing of pad mounted, linear, underground and solar gate operators. “We are delighted to join forces with FAAC as we believe that the combination of Viking strong product focused strategy and clear understanding of US markets’ requirements and habits, together with FAAC’s solid industrial and commercial competences, will be a tremendous accelerator in developing VIKING brand in next years both in US and abroad in selected markets.” Says Alex Tehranchi, founder and Owner of the Viking from his Irvine-based headquarter. Established in 2003 in Irvine, CA, Viking quickly developed the Company and a full product offering capable to understand and meet needs of US installers across all gate operators’ applications, with smart, fresh and technologically sound products. Such spirit has made it one of the leading and respected manufacturers in USA. FAAC is a leading international pioneer in the automated systems industry and in the control of pedestrian and vehicle accesses for residential and commercial applications. The Group’s activity is focused around three Business Units: Access Automation, Parking Technology and Access Control. FAAC was founded in 1965 and is today an international industrial Group with a direct presence in 24 countries throughout the world, 16 different manufacturing locations and over 2.500 employees. 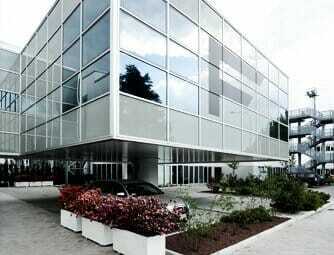 The Group Headquarter is based, ever since its foundation, in Zola Predosa, Bologna, Italy.